We pick some of our favorite recommendations. The Annenberg Public Policy Center is not having any of this decades-long status quo of presidential debate formats. A new report released this week by the bipartisan Annenberg Working Group on Presidential Campaign Debate Reform takes aim at the debates, warning organizers to modernize or face obscurity and irrelevance. But while in recent campaigns the debate process has incorporated more open formats, and moved from the traditional timed answers and strict structures, in general it has changed very little since 1992, when the single moderator and town hall formats were adopted. Very few “television programs” have succeeded with a format that is more than two decades old. Put another way, either you’re part of the Law & Order franchise, or you need to, in the words of Kenan Thompson‘s SNL character Oscar Rogers, fix it! Have the debates actually be about something. 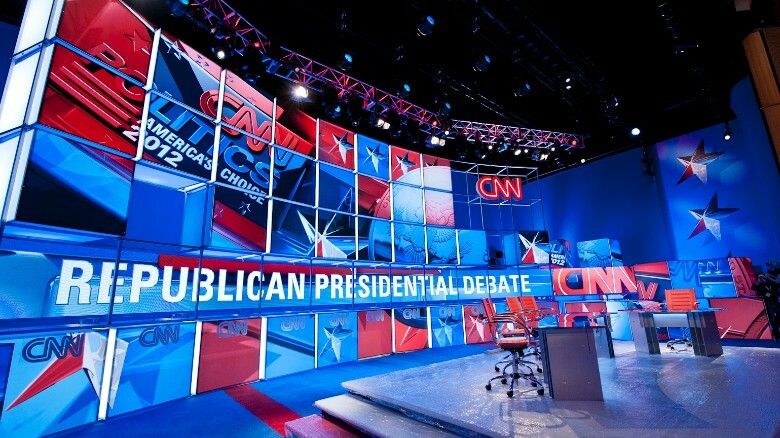 According to the report, everyone wants debates that are “informative and not ‘canned,'” with topics that “should be wide-ranging and relevant to voter choice and interest.”Among the ways listed to achieve that end is to give more questions over to non-professional interviewers, “diverse media outlets” and to carefully consider and curate questions from all sources before a debate. Chess match: Go! This is apparently an over-20-year dream format that gives each candidate the same amount of total talking time, although each individual response or rebuttal would be kept to three minutes. Once candidates have used all their minutes, they are done for the night. Candidates are also encouraged to interact/fight with each other, with the candidates themselves tackling follow-ups. This is a win-win, really; having candidates going after one another, rather than reciting carefully considered talking points, can make for better television and a more substantive debate.